Okay, so on the right hand side of my blog you'll see that i've added two new buttons. One for the Kids Clothes Week... which i'm hoping to actually finish something for this time.But i'll leave that for another day. The next button is for the 2013 Finish A Long. Yes i've decided that i need to join this one, if only for my own sanity. Even if i only finish one project it will have been worth it. I've already missed the first quarter but am stoked for the second! It's already inspired me to pull out some projects and get started. I know! The second quarter hasn't even started yet and i'm already trying to finish things off. I started by pulling out some of my Out To Sea blocks, and decided i needed to add some star blocks into the mix. So i whipped up these two blocks from the book Modern Blocks and love how they turned out. I think i'll make some more single stars in different sizes to go along with the rest. I also have plans to make some blocks up using some of the pirate fabric. This quilt is definitely going on the finish a long list, i need to get it done. 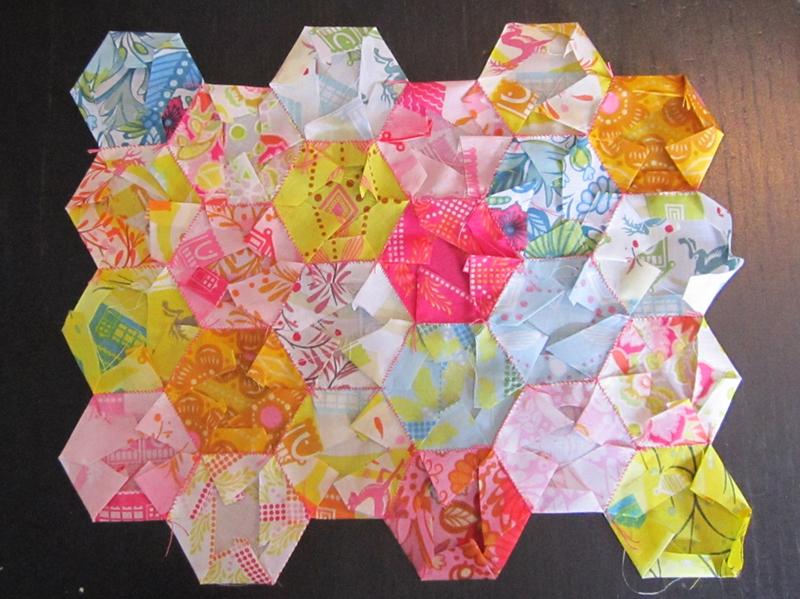 The next project i tackled today was my Anna Maria Horner Little Folks voile hexies. I'm in no real rush to finish these, i knew going in that i would be sewing these by hand and it was going to take some time. That being said assembling this block has sparked me to get more done. I decided early on that i wouldn't be making the entire quilt in hexies... i would love to, but we all know that i would never finish it. The block is 12.5" unfinished and i haven"t decided how big i want the quilt to be, but i would like to make it at least a queen size. We'll see, working with voile is very tricky. even the back is pretty! ...my Narwhal Hunt quilt. I had a few lines of quilting that i needed to remove (sewing machine issues), and then about ten more lines to add. I also managed to get the binding machine stitched on the front, so as soon as i hand stitch it to the back i'll post up more photo's. So at what point does one need an intervention? I only ask because there may be a slim possibility that i may need one. These are "some" of the quilts i have on the go right now. My day today was spent upstairs in my studio pulling everything together that i have started and not yet finished. 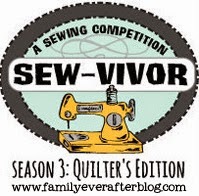 I'm thinking about taking part in the 2013 Finish - A - Long being hosted by Leanne over at she can quilt, with the hope that maybe at least one of these projects could get finished. I really had no idea that i had this many projects on the go. And the above photo doesn't show the box under the table with four quilts ready to be quilted, one in need of a binding, and the two quilts at my mom's house. One that is halfway quilted and one that is ready to be quilted. The little blue basket on the left is holding seven quilt tops waiting for backs to be made, in front of it are six of the nine Washi Swoon blocks i've slowly been plugging away at. 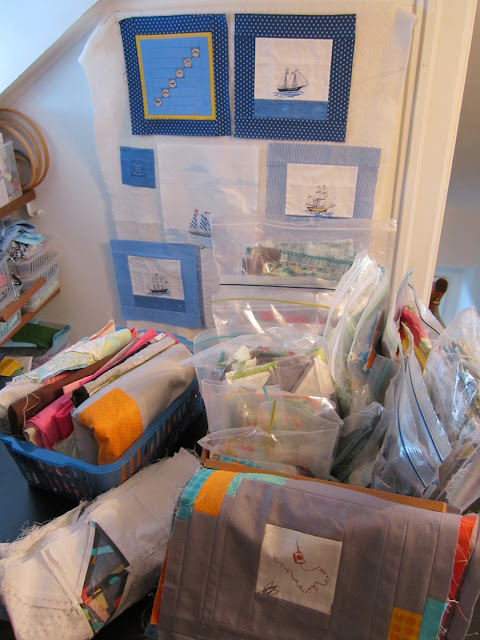 Then there's the box with the zipper bags... each of the bags contains quilt blocks in various states. Some are finished blocks that just need to be assembled into quilt tops, some are filled with fabric that's been cut to make blocks, some blocks need to be squared up, and some need more "rings" to complete them, like the stack of Converging Corners blocks in the front of the shot. In total there are sixteen more quilts waiting to be finished. For those of you that have been counting, that's thirty one quilts i have on the go right now. Thirty One!! 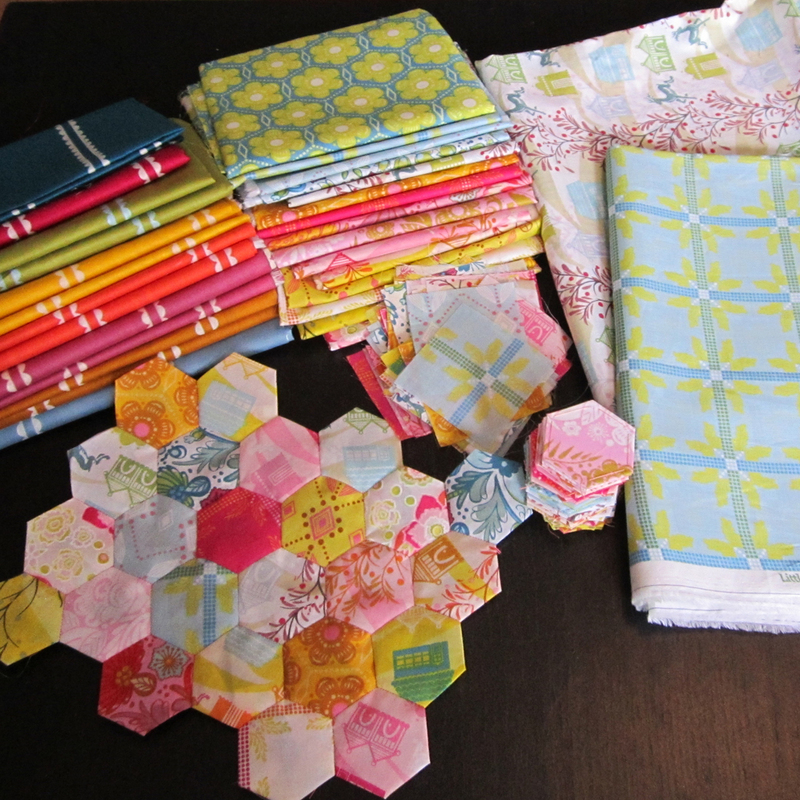 Damn... i just remembered about the ziploc i have of AMH voile hexies in my purse. Make the count now thirty two. That's also not including all the fabric i have pulled with other quilts in mind and just haven't gotten around to cutting into yet. Which is probably a good thing. I'm also now thinking that the Finish-A-Long is a great idea and i definitely need to participate. 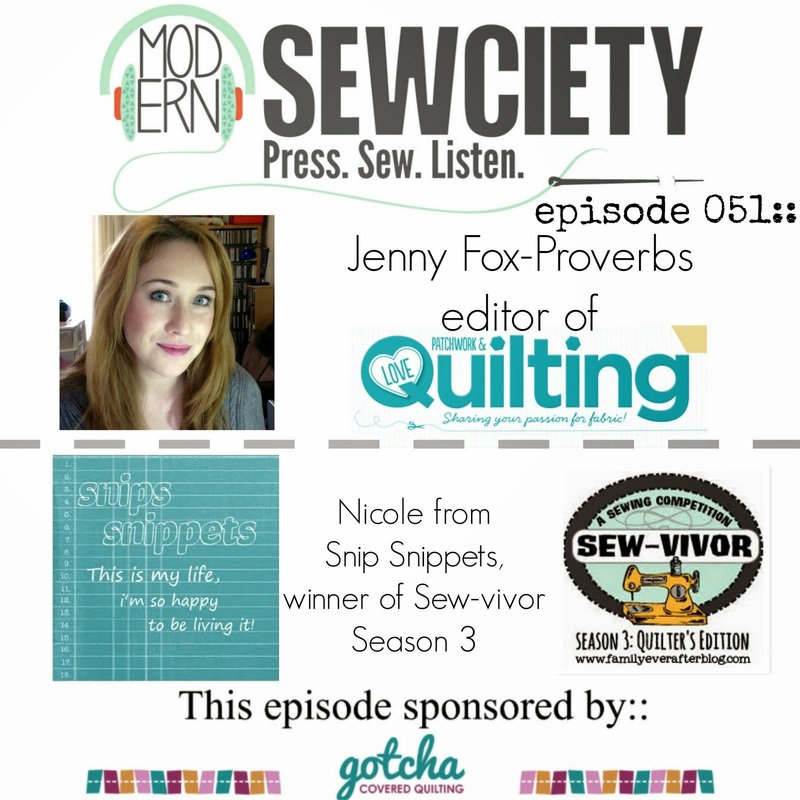 So what do i do now that i know how many quilts i have on the go? 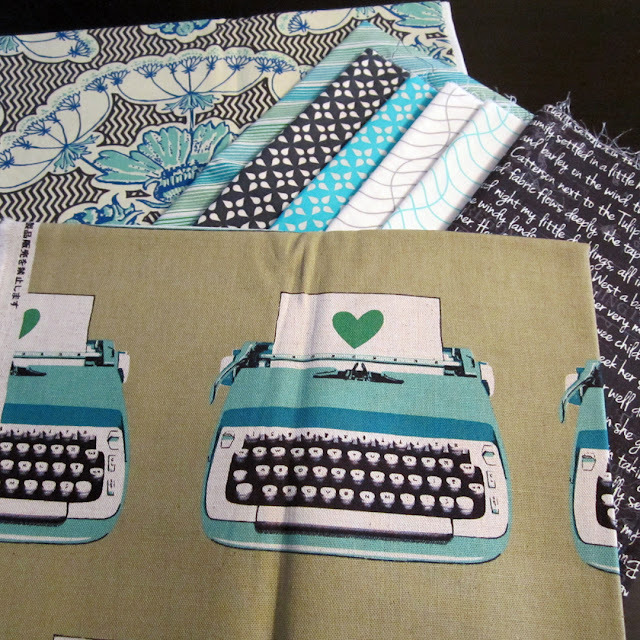 ...pull fabric for another project. I know, i know, i have a problem... but in my defense these aren't for a quilt. I grabbed a Divided Basket Pattern from Anna over at Noodlehead, and thought it would be perfect for my small sewing projects, you know, so they're not left all over the house. So really this is a necessary project, it will help keep me organized and could potential increase my productivity... anybody buying this? So i guess the question is... Should i go ahead and start on this, or finish up some quilts on the list?? Thirty two high fives for everyone! So with Google Reader closing i thought i'd give Bloglovin a try... so far so good! 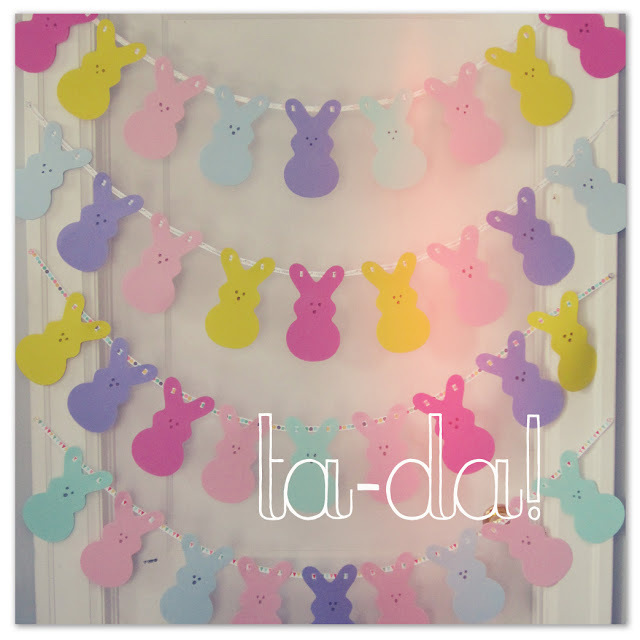 ...and a super easy Easter tutorial. ...quick, easy, cheap and cute. Everything you need is in the bowl below. Some foam peeps, i picked up two packs from a dollar store, for the low, low price of... yep, 2 bucks. A brown marker, i stole borrowed mine from Sammy. Some sort of blade, razor, steak knife... whatever you have that's sharp. 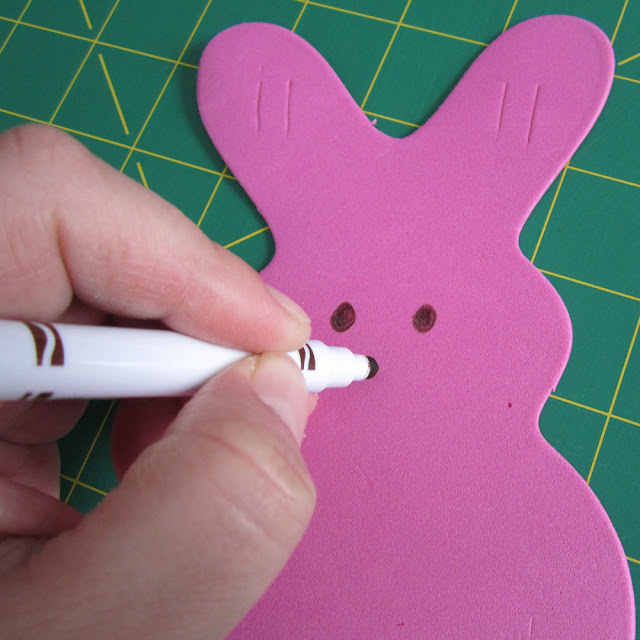 I like to then stack a couple peeps together and use that first peep as a guide for cutting the rest. 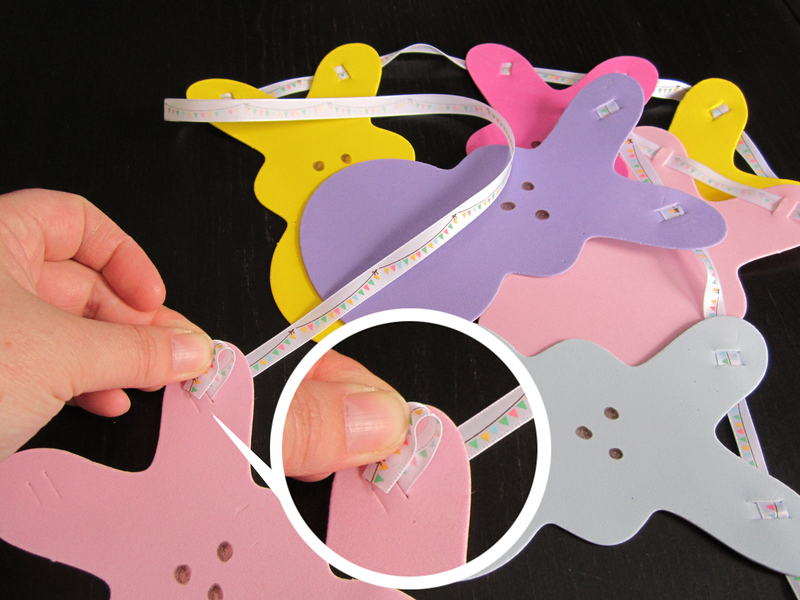 The size of the slit will be determined buy the size of your ribbon. ...which i actually did before the last step. Super easy, super cute, and only two dollars! ...and let them join in the fun! Peeptastic high fives for all!